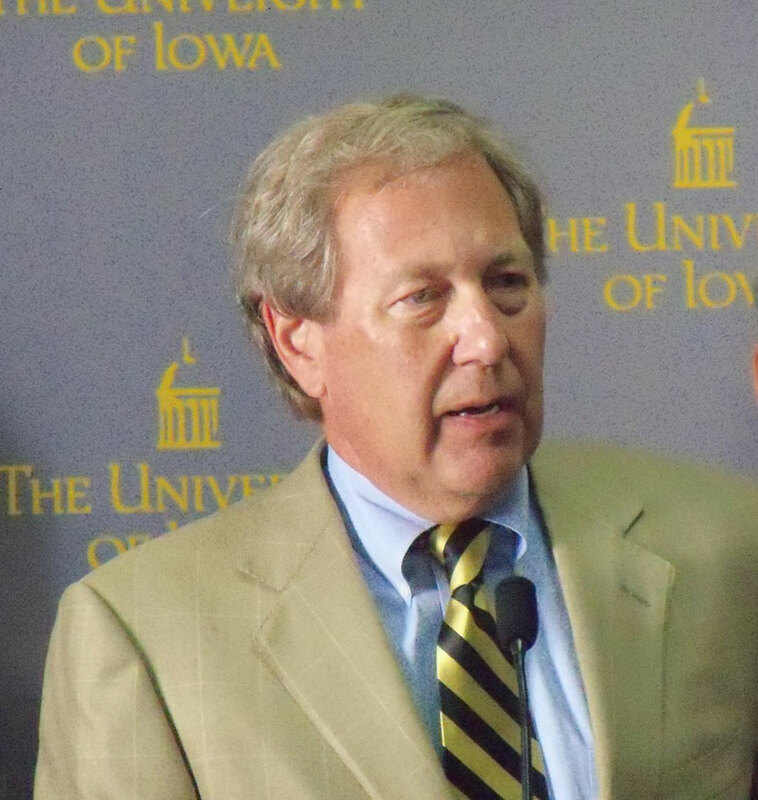 Bruce Harreld was named the new University of Iowa President. The man who faced harsh questioning by faculty members Tuesday in a public forum was named the new University of Iowa president Thursday by the Board of Regents. Bruce Harreld is a business consultant and former executive at IBM and the Boston Market restaurant chain. Faculty at the university had been against his selection because most of his experience is in corporate America, not academia. Board of Regents President Bruce Rastetter talks about new U-I President Bruce Harreld (left). The Board of Regents unanimously voted to hire Harreld, who spoke to reporters at a news conference in Iowa City. Harreld says he is a strong believer in “shared governance” and that is what it will take for him to be successful. Harreld was asked how the importance of winning over the faculty, and he says it’s very important as “we are here to teach, we are here to learn.” He says he’s already heard from the faculty about “gaps” in what the university does and he wants to work with them to address those gaps. “If in fact we beat heads — which I doubt very seriously we will — then you have problems. But, I’m not looking for a fight, what I am looking for is to make this institution better, and the faculty are the key role in that process,” according to Harreld. 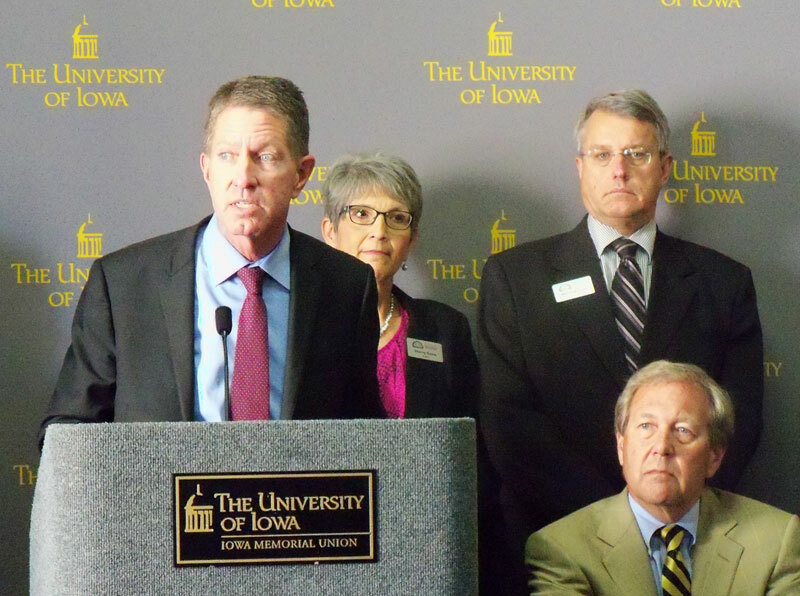 Regents president, Bruce Rastetter, was asked if it is a risk hiring someone like Harreld who has never held an administrative position at a university. “No I, no I don’t. And I think when you look around the country the complexity of the job of president has resulted in a number of places moving to more non-traditional candidates,” Rastetter says. He talked about the things that sold the board on Harreld over the other three candidates. “His life history of collaboration, of bringing organizations and teams together. Of leadership skills that are principled and value input. Shared governance is extremely important to the board,” Rastetter says. The Board of Regents approved a 5-year contract for Harreld at $590,000 a year. Former president Sally Mason made $525,828 when she retired. Rastetter says they offered Harreld more money to bring his salary in line with other similar institutions. He will also receive a 5-year deferred compensation package of $200,000.